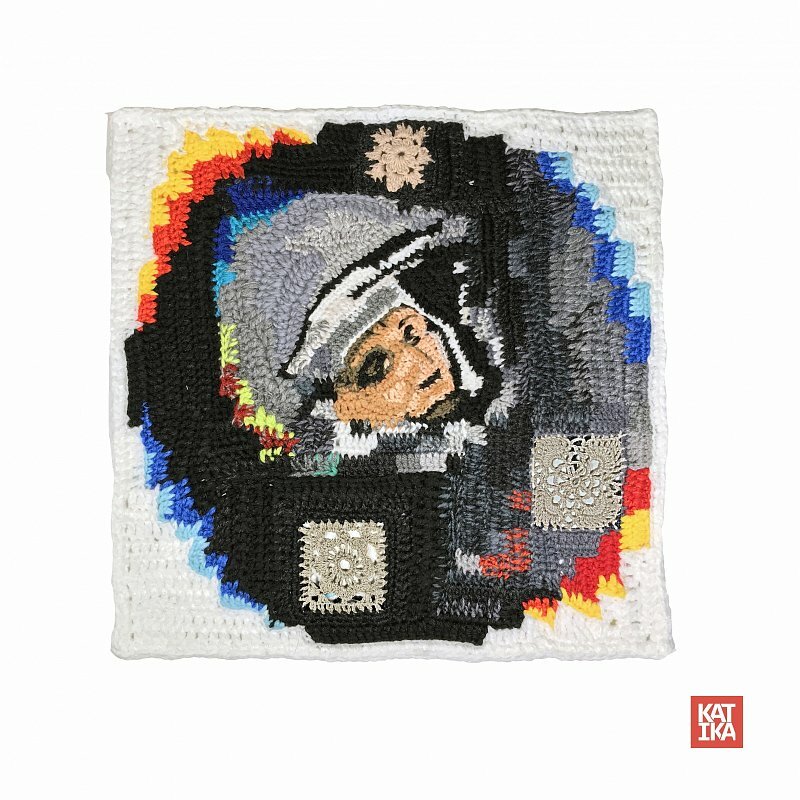 This work is dedicated to Yuri Gagarin, the first man to visit space! I am very proud that he was a russian (or rather a soviet) man. Sadly, he lived before I was born, but I have always been fascinated by Space and wanted to create Gagarin's portrait anyway. This artwork uses the contrast between old and new, between bright colors and faded images, to highlight the passage of time and the changes, which the images go through. This time the image is framed not by old-fashioned laces, but by squares, which represent the image's pixelation. Since the Gagarin's flight, many things have changed, and the image is not as clear, but Gagarin's face is still in focus and will remain this way, no matter how digital and artificial the memories of him become.